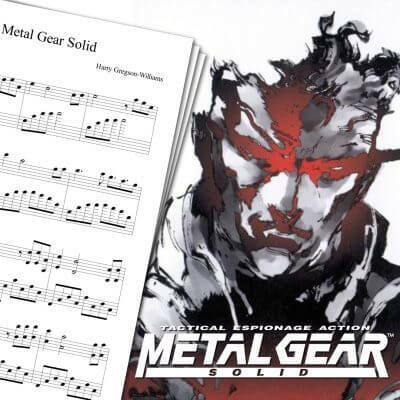 Piano sheet music for the song Deadman’s Gun from Red Dead Redemption. If I had to select the best games from my PS3, Red Dead Redemption would certainly be one of my first picks. Aside from John Marston’s charisma, one of the game’s biggest quality is its soundtrack. When I finished the game, I knew I had to play one of its songs, which is why I made this Red Dead Redemption Deadman’s Gun Sheet Music. I fell in love with the game when Far Away started playing mid-game when you arrive to Mexico. It’s Deadman’s Gun, however, that stuck with me since I heard it in RDR credits. 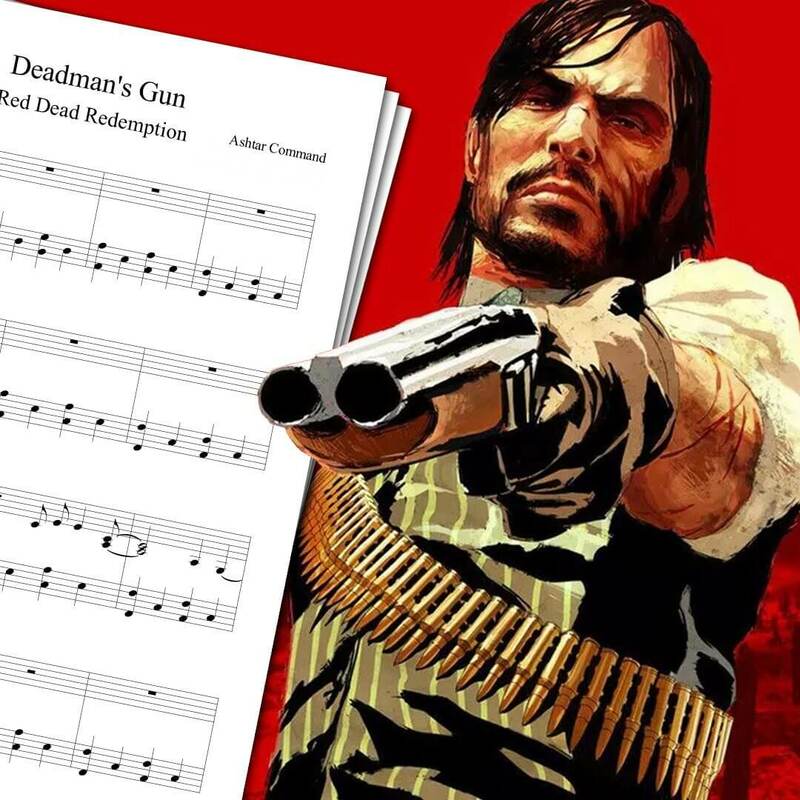 The Red Dead Redemption ending sheet music is fairly easy to play, even for beginners. 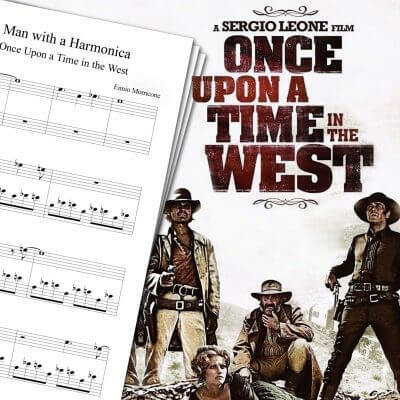 If you like westerns, be sure to check my Man with a Harmonica Sheet Music from Once Upon a Time in the West! 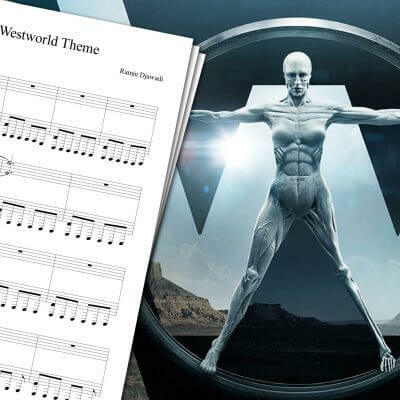 I also did some Westworld Theme Sheet Music. 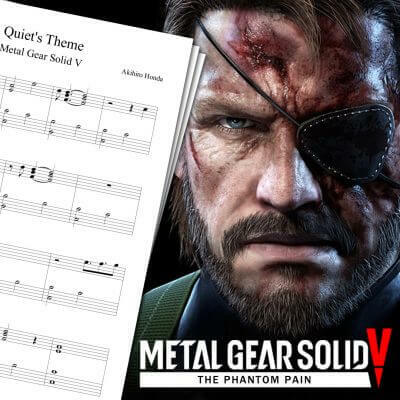 For more video games sheet music (like the Metal Gear Solid Theme Sheet Music), feel free to check the main piano sheet music page! Red Dead Redemption is a western game made by Rockstar, released for the PS3 and XBOX 360 on May 2010. The game takes place in 1911 and lets you play as John Marston, a former outlaw forced to fight against his old gang. Red Dead Redemption features an open-world environment, giving a lot of freedom for the player to roam the land. A multiplayer mode was included as well, but it’s the story that made me love this game so much.